Rum is an exotic spirit, it conjures images of far-away lands, sunshine, Caribbean bacchanals, palm trees and the obligatory pirates, Hemingway getting blitzed on Daiquiris. Safe to say that Northumberland doesn't immediately spring to mind, but yet 4,000+ miles from Havana there is a growing rum business. 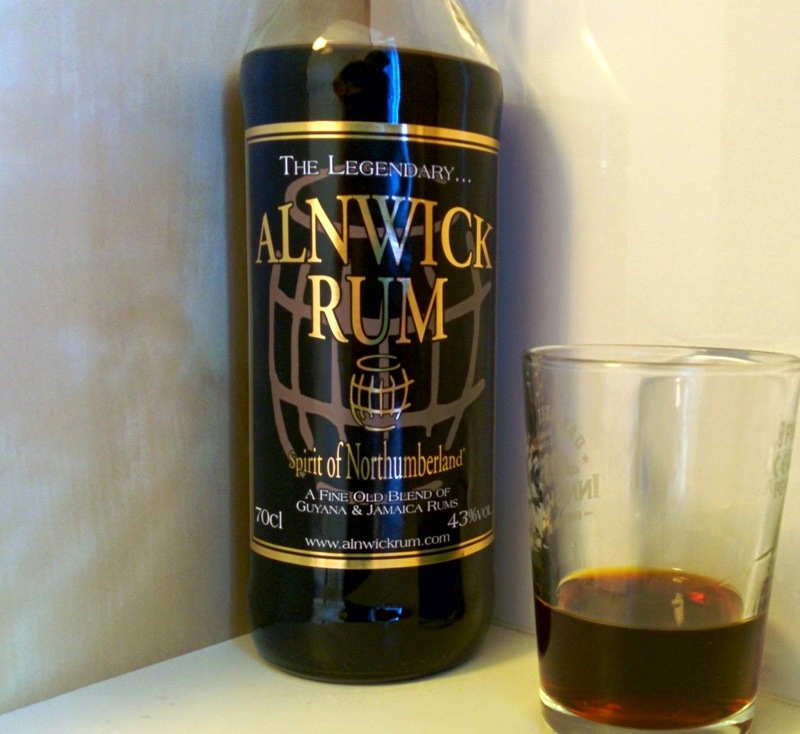 Alnwick rum has been around since before World War One, with the business changing ownership and stopping production a number of times over the years until in 2001, after a 20 year gap, the original recipes were rediscovered and production restarted. So, after a relaunch here we are, the rum is a blend of Jamaican and Guyanese rums, blended on contract in Holland then bottled here in the UK. The website says they're aged up to three years in ex Bourbon & Whisky barrels. Pouring a glass you can see a very dark spirit with a reddish tinge, from the look you expect a heavy, thick, aggressive trawler style rum, you take a sniff and it's lots of treacle, molasses & orange, heavy, full and punchy. Now taking a neat sip you're thrown a bit, there is an initial warmth but nothing too amazing but then the flavour really develops into something a lot more subtle than you'd expect, a little bitter coffee and citrus behind the treacle & molasses hit. Bottling at 43% makes it a bit punchier than you'd expect, only 3% but it does make a significant difference. The finish is remarkably dry and lingering. 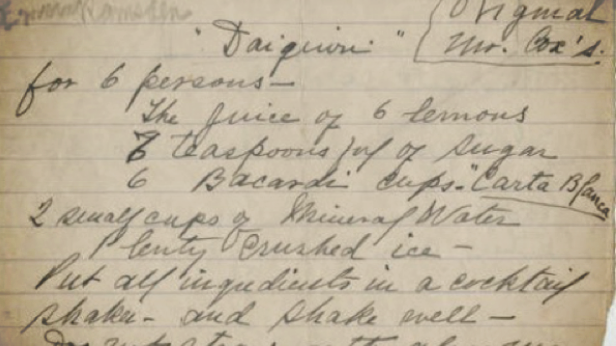 or, if you've a sweeter tooth try only 5ml of syrup and 5ml each of Cointreau & orange juice which takes the bite off the lime juice.